With the speed up pace of national economic construction, crushing machine industry is developed rapidly, China strengthen the policies for infrastructure construction. Demolition and reconstruction of urbanization, railway and highway laying, the implement of western development projects as well as the maintenance and construction of metallurgy, chemical industry, water conservancy, colliery, etc., the keep increasing demands for market stimulate the mining mechanical industry growing vigorously. As is known to all, the traditional mechanical equipment industry exists more or less shortages, how to solve these shortages is the key study for all the enterprises. Under this situation, some individual companies cannot imitate the technology from large companies all the time. Our society is keep growing, the industry need improve themselves continuously in the fierce market competitive to produce their unique products which can form more powerful competitiveness. At this time, technical innovation is the direct way to overcome pressures from crushing machine industry. Facing the good and band quality of the crusher, the quality and performance of which will determine whether the company will be eliminated from the industry or not. Nowadays, our national mechanical equipment technology is too mature to produce high level crusher independently. But we can improve the existing technique, reforming the original equipment to form new industry chain, innovating the whole business model to make its disadvantage become the advantage. As a result, domestic crushing machine industry will stand the pressure to develop prosperously. Meanwhile, green eco-protection and low carbon life have become the main trend of development in the world. All industries are developing the circular economy based on the low carbon environmental protection and on the way of sustainable development. The development of crushing machine industry and even the whole mining industry should follow this rule. Besides improving the products quality, enhancing the productivity, we should pay attention to reduce the energy consumption and environmental pollution, strive for green production to realize sustainable development. The patent product developed by Luoyang Dahua — PL series Vertical Shaft Impact Crusher, a new type of self-impact crusher, which filled a vacancy in Chinese crushing industry. It won the second prize of China new product at the International Mining Machinery Expo held in 1992. 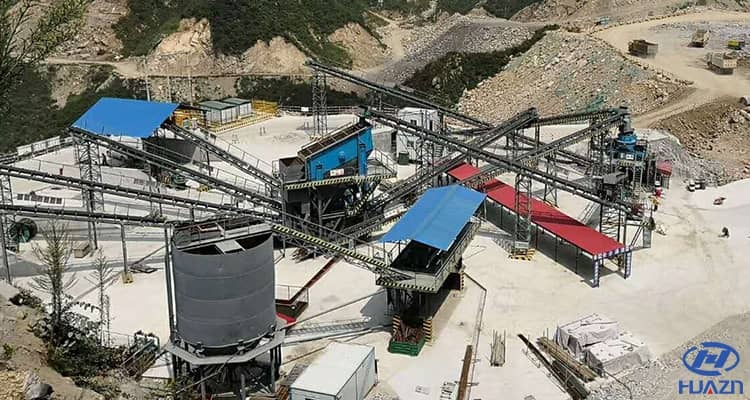 The PEY Series Jaw Crusher with hydraulic safeguard can be used in crushing materials mixed with non-crushable material. Besides, the PFQ Series Strong Impact Crusher and ISP Series Strong Fine Crusher can be used in the industries such as the highway construction, artificial sand and aggregate processing, etc. What's more, the PG Series Strong Double Roller Crusher is one kind of patented products developed by our company, which can be used in slag, oxidation manganese processing, etc.